Join the Revision Path community on Slack and learn how you can win free tickets to Revolve Conference 2016! Here’s your invite! Have I mentioned lately that I love our Slack community? There are so many talented and amazing people there, including this week’s guest — Lyn Muldrow! 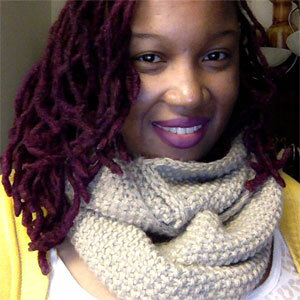 Lyn is a front-end developer, as well as the technical manager for Oakland-based nonprofit organization Hack the Hood. We talked about how she got interested in technology at an early age, her experiences in Silicon Valley (and how that led her to where she is now), and we touch on the double consciousness around “being yourself” in an industry that expects you to conform to culture fit. Lyn also recently attended the White House for their LGBTQ Tech and Innovation Summit, so keep an eye out for her — she’s on the rise!